An important part of DEQ’s mission is the conservation of our state’s abundant natural resources. From preserving natural areas for research, education and recreation, to helping our citizens learn to conserve energy and reduce and recycle waste, to encouraging widespread stewardship of North Carolina’s water, air and land, DEQ takes pride in our ongoing conservation efforts.  NCDEQ provides assistance to NC citizens, businesses and government agencies on recycling and waste reduction. Learn about how you can reduce waste and protect the environment through local recycling programs.